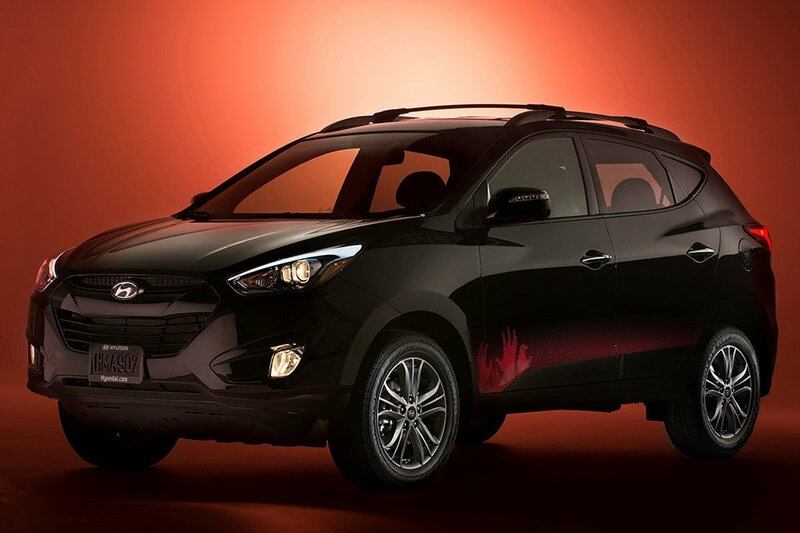 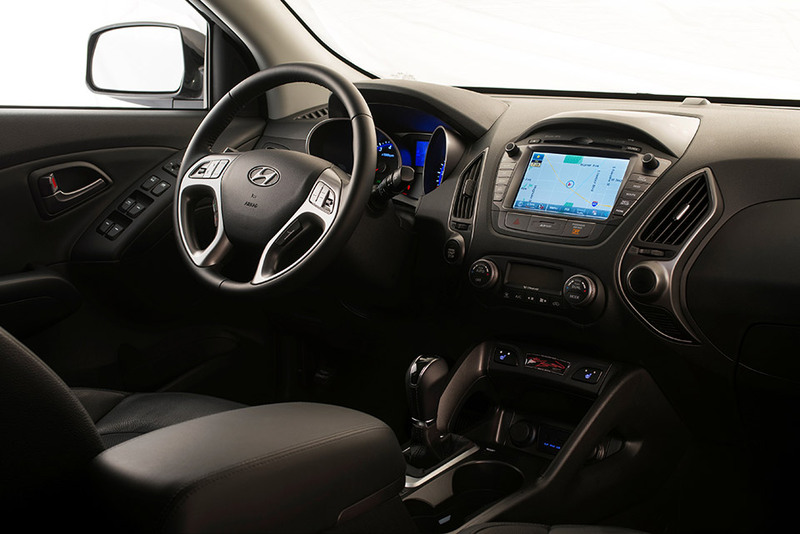 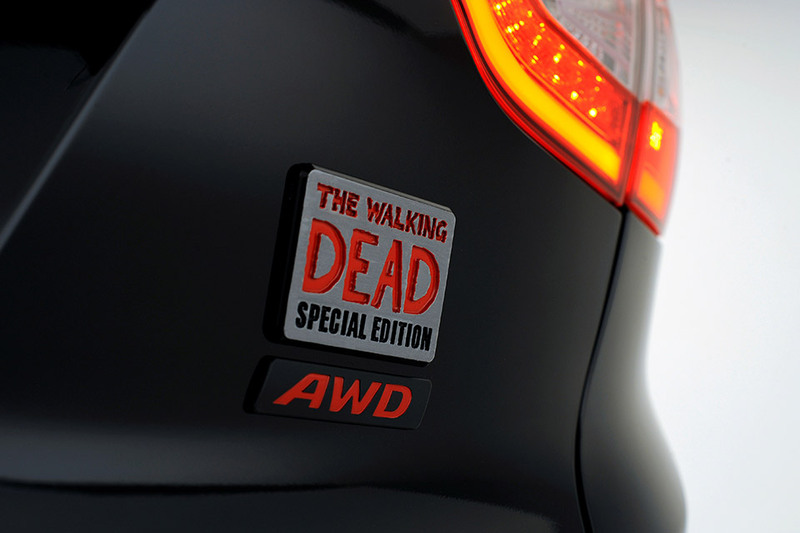 It looks like the war against the zombies will be taking a turn for the better and zombies everywhere should shamble away in fear because the Hyundai Tucson The Walking Dead Special Edition is now available at U.S. dealerships. 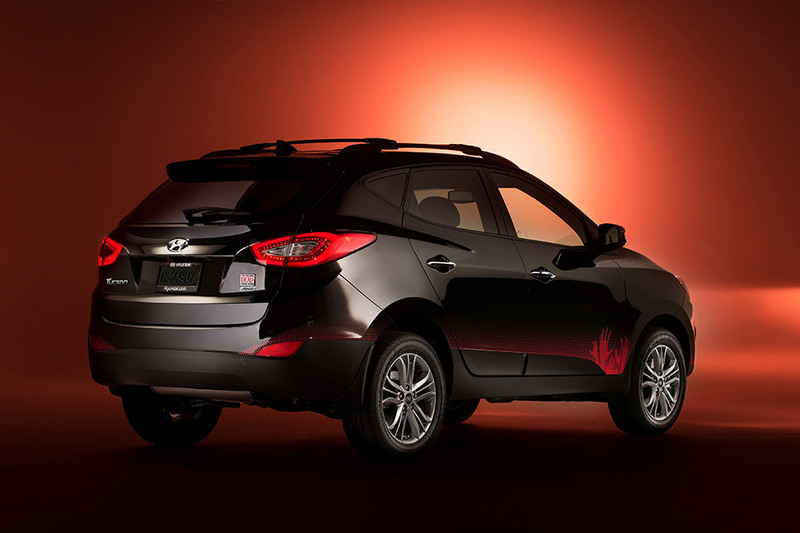 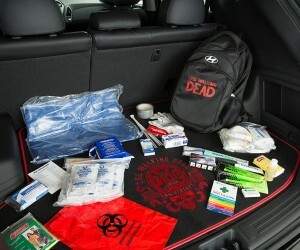 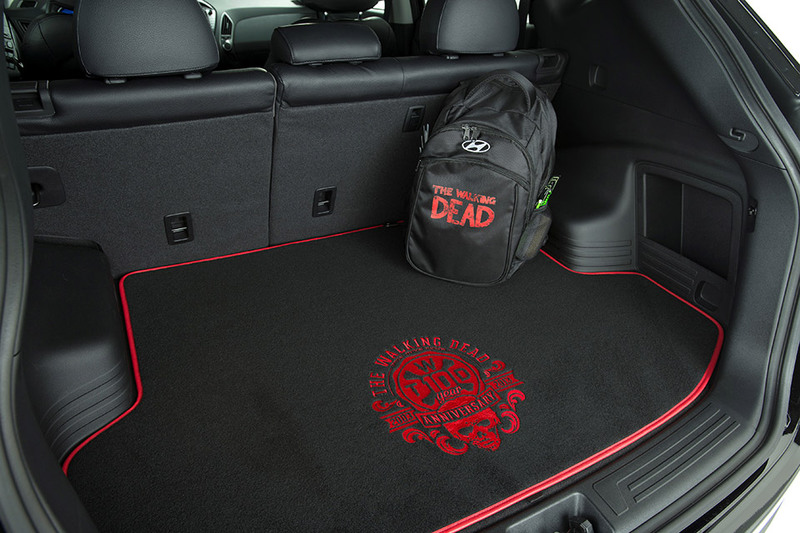 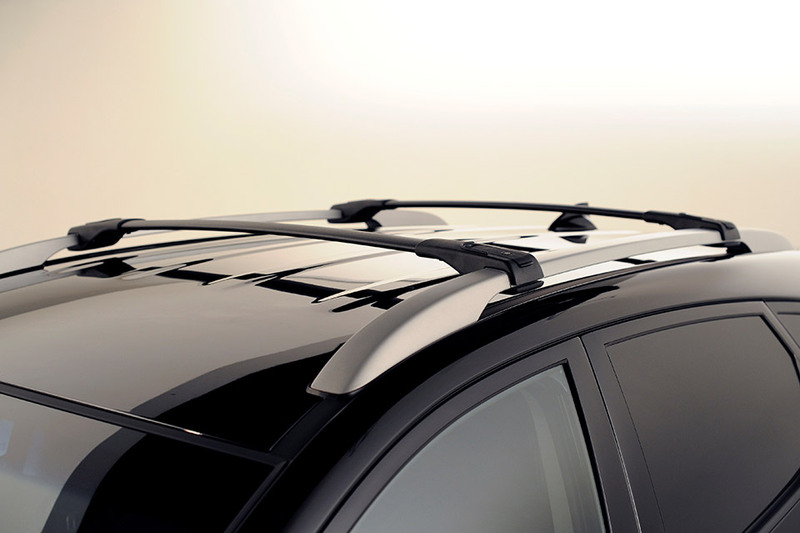 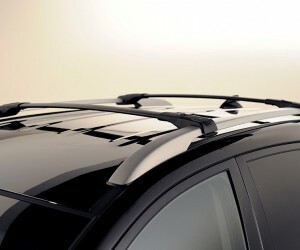 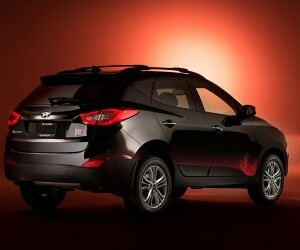 Built on the top-of-the-line production Tucson, The Walking Dead Special edition comes with side graphics showing zombie hands grasping at the vehicle, special badging, floor mats and cargo mats with The Walking Dead logo, and a 72-hour survival backpack stuffed with necessities for surviving the zombie apocalypse. 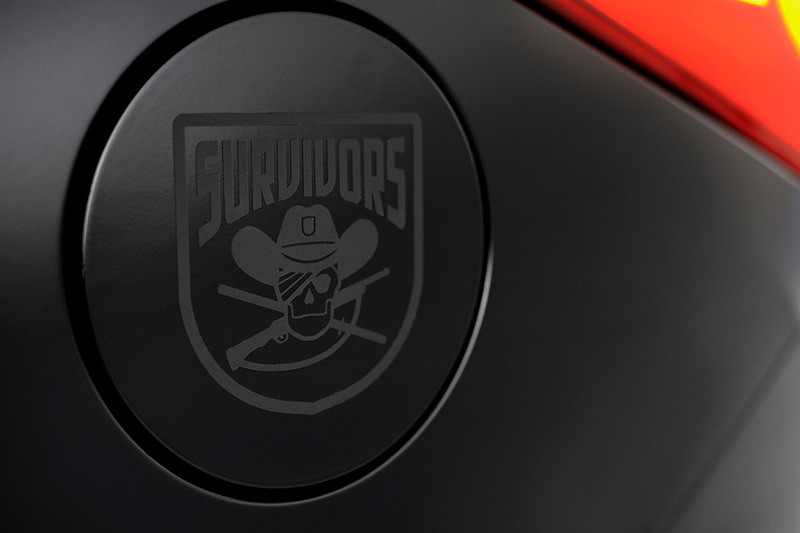 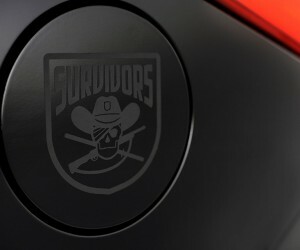 And purchasers can choose from one of four vehicle decals from the graphic novel series: Hilltop, Kingdom, Saviors, and Survivors. 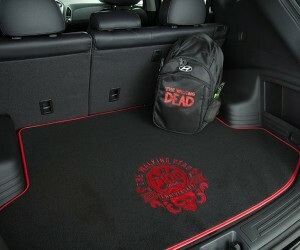 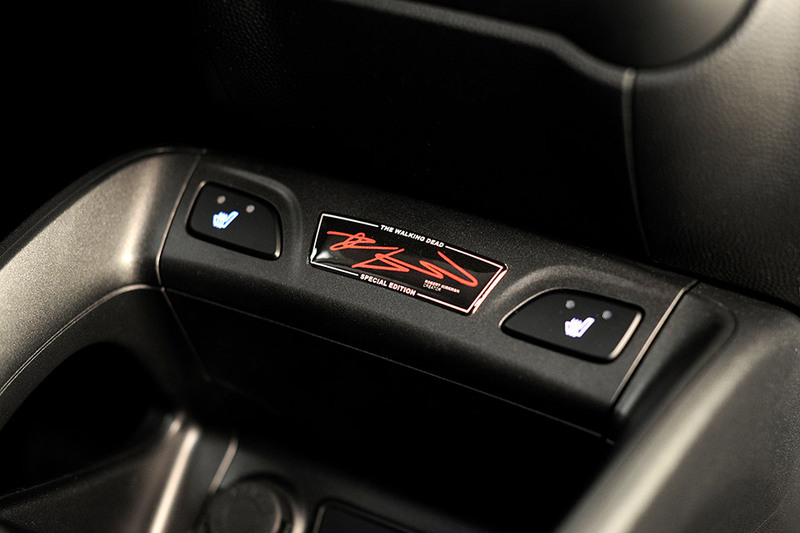 The SUV is done in a dark, Ash Black color scheme with red contrasting graphics and black leather interior. 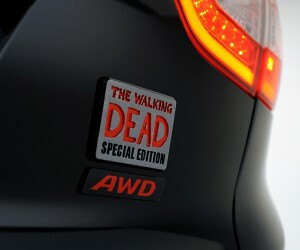 There’s even a special The Walking Dead splash screen on the 7-inch touchscreen display. 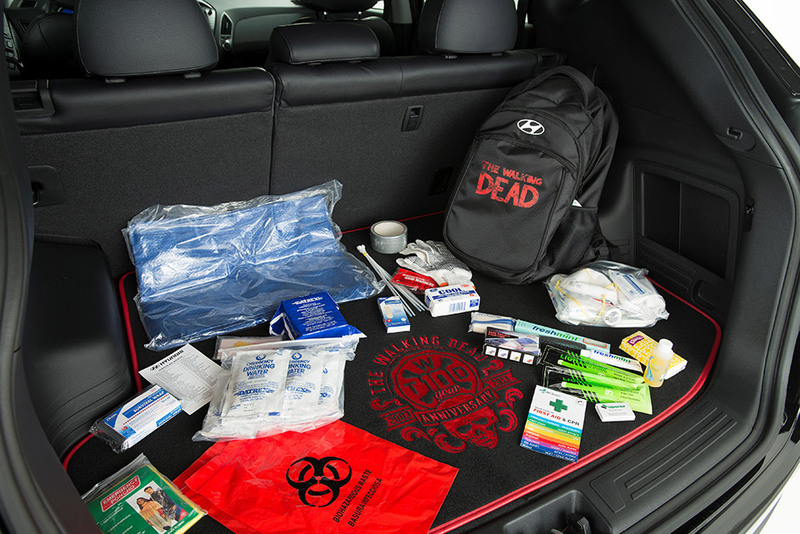 It’s not quite as capable as The Walking Dead Hyundai Survival Machine, but you’ll still look great driving it down the eerily quiet highways around Atlanta, or elsewhere for that matter. 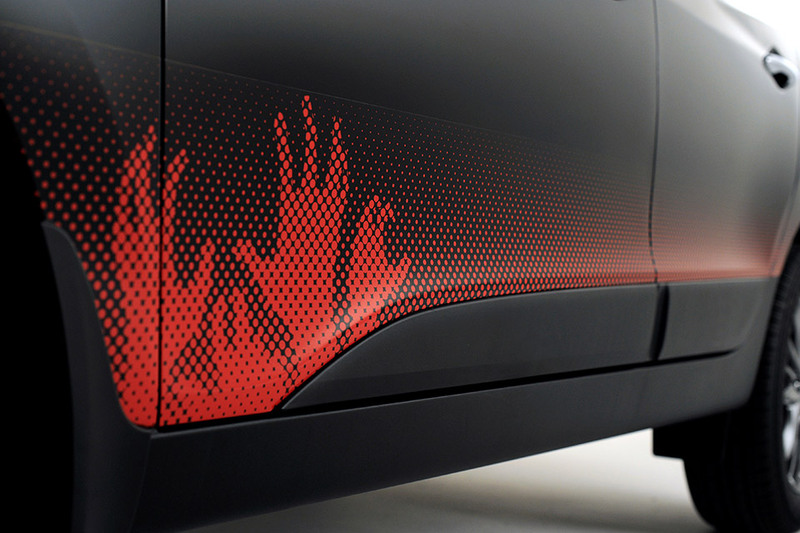 Now, if we could just tune the exhaust to sound like the moaning zombie hordes, the vehicle would be complete.